Anna Wintour has made it no secret that she's a proud supporter of presidential candidate Hillary Clinton, having worn T-shirts showing her allegiance on multiple occasions and even co-hosting a recent high-profile fundraiser for Clinton along with other past fashion industry fundraisers for the presidential hopeful. The native Brit's involvement with the campaign is of the more sartorial nature as well, as we just learned from Business of Fashion. 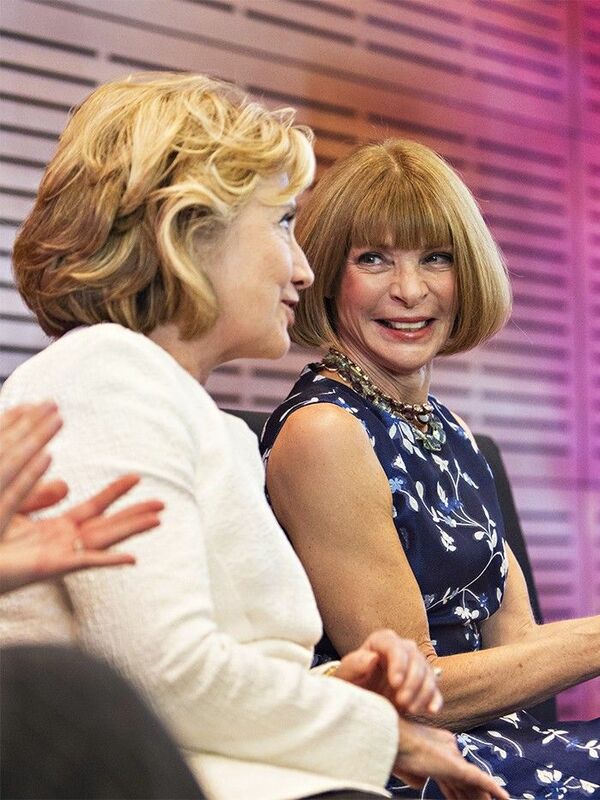 As the fashion news source printed this morning, "Clinton has been consulting American Vogue editor-in-chief and Democratic party fundraiser Anna Wintour on her wardrobe choices for key moments of the campaign. … On certain occasions, Wintour has approached designers to procure outfits for Clinton, who has settled into a uniform of brightly coloured pantsuits and jackets by US designers." BoF interviewed personal stylist to politicians Corey Roche on the subject of dressing candidates for campaigns, who said, "There is [campaign] money allocated to fashion and clothes, because that is a huge part of marketing and branding." As Clinton accepts the nomination to be the first female presidential candidate tonight, all attention will be turned to not only what she says, but also what she wears for the historical occasion. And it appears that Wintour will have had a hand in that. Shop our favorite source for patriotic summer pieces.